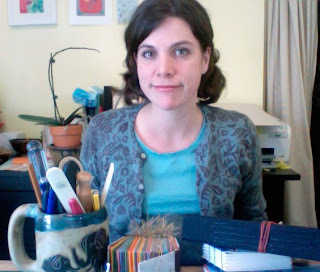 Today I have to pleasure to visit St. Paul in Minnesota and introduce you to Katy Hemberger of Swirling Tree. He can find her on Etsy at swirlingtree.etsy.com and see her blog at swirlingtree.blogspot.com. Hi Katy, nice to meet you! How did bookmaking come into your life? 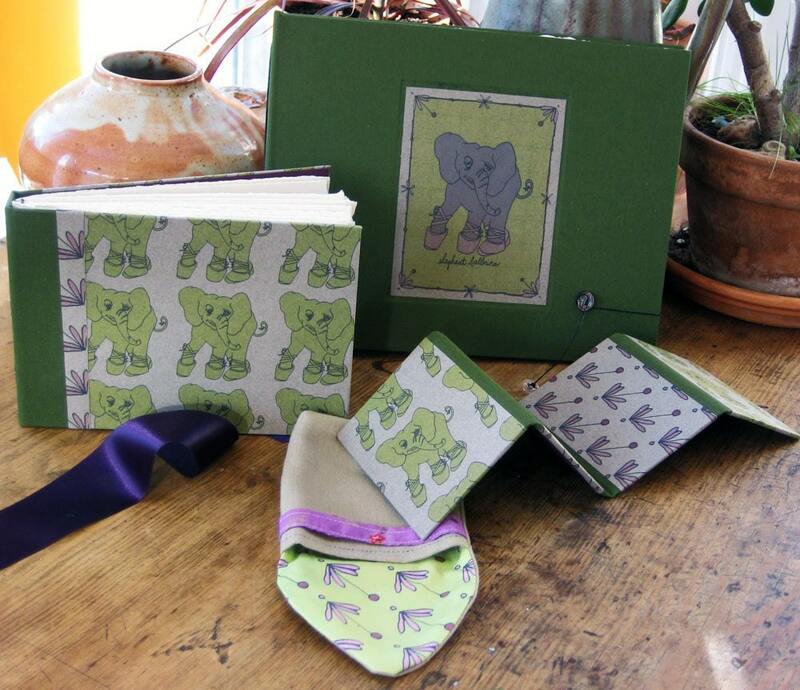 In college I majored in Studio Art and always found book arts intriguing. I took the one Book Arts class offered at my school and my shop name dates back to this course in college: The professor had us come up with a press name to sign our books under, I chose Swirling Tree for reasons I have since forgotten. I continued binding through independent studies. My art show in school had many conceptual books, I've since taken more of a functional-art approach to my work. I like to make things that will be used and handled. 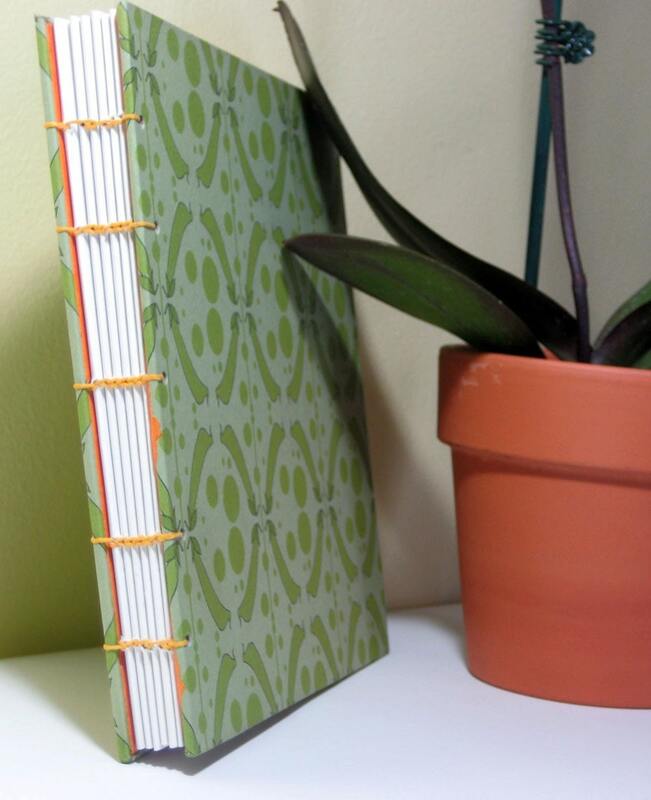 Is binding books your only job? 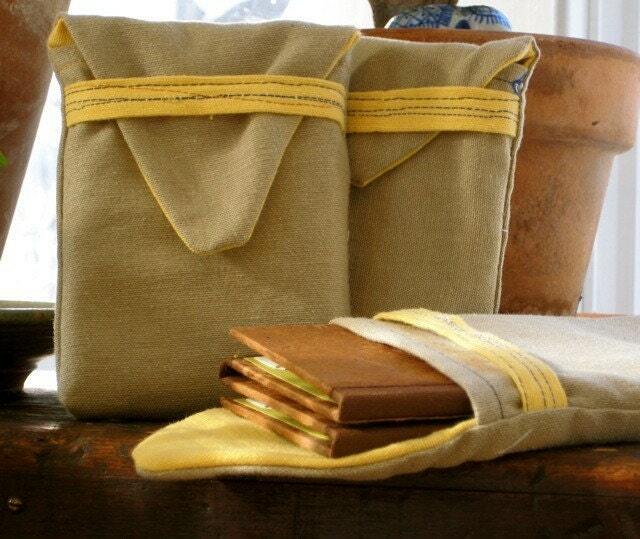 I packed up my art supplies and bookbinding tools when my husband and I bought an organic farm six years ago. My hope was to work on books during the off-season, but that never happened, there wasn't really much of an off-season and I spent some time working at a great pottery studio in my few spare moments. Now that we are away from the farm and living in the city, I am again working with my bone folder. I am also a full-time mom and work part-time in the produce department of my neighborhood food co-op. It sounds like you made some big decisions in just a few years: First buying a farm, then moving back to the city. Do you miss the live at the farm? I do miss country life, but we're looking at this short stint in the city as our "fallow period" from farming. We're hoping to resettle in a rural setting in a year when my husband finishes his degree. I'm enjoying life here right now, it's exciting to live so close to the Minnesota Center for Book Arts where I've taken some classes and there are so many art happenings, good restaurants, and fun shops. Tell us a little more about your shop: What kind of books do you make? I love developing new products. 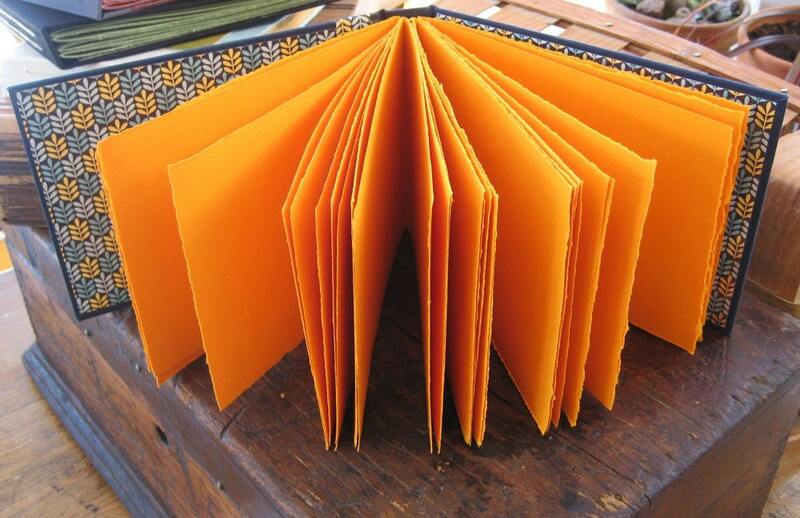 Last fall my brag books were developed, they are accordion-style photo books that are stowed in a cloth pouch. I love troubleshooting my designs, and I find I gain great insight from commissions. It was through a commission that I designed my first wedding album and I've made quite a few very similar to that first one. 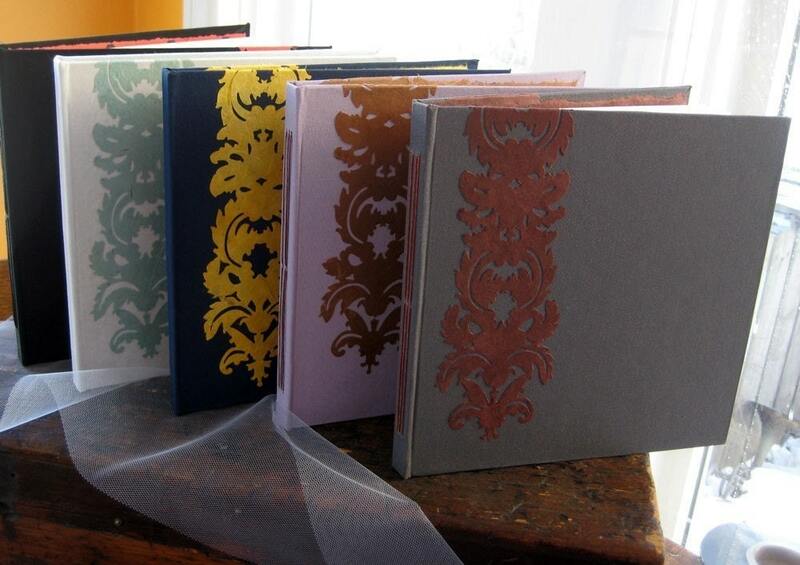 As for supplies, I enjoy using color so I order a lot of different book cloths and decorative papers. I have started designing my own papers, too, with stamps, paints and colored pencils and also with scanned drawings, photoshop, and a printer. Do you have a specific group of customers in mind when creating your books? That's an interesting question. I find myself constantly thinking about the customer which sometimes feels stifling. When you are relying on your craft to make money it's easy to get into the production mindset. I cater to the engaged with my wedding books, to parents and grandparents with my brag books and albums, and I try to make journals that vary in style (kids, men, students, young people). I try to do some work "from the gut," too. It's relaxing to make things once in awhile that may never sell but I like them myself. And, you know, there is usually someone else that will like it and even give me money for it! I love the bright colors on some of the pages of your books. Do you remember when you first used it? Thanks! I started buying various colors of drawing paper for my album text pages about a year ago. I'm seduced by color and I like the idea of posting photos on non-white pages. Do you have special plans for your crafting and your shop for the future? New skills you would like to acquire, new techniques to learn, new materials to use, new ways for marketing and promotion to go? Yes! I am signed up for some art shows this year so I am trying to get my inventory up and trying to imagine how I am going to display all of my work. I would like to do more with my illustrations and perhaps start making book-inspired jewelry. Thank you, Katy for taking your time to talk with me about your shop! WOW ... the orange of those pages really pops!